After numerous complaints from neighbouring residents, and a court battle with the City of Irwindale, California, Huy Fong Foods was ordered to partially cease operations by a California judge yesterday. 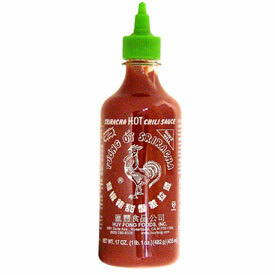 The company makes a wildly popular hot sauce called Sriracha sauce, more commonly known as Rooster Sauce due to the picture on the bottle. It's so popular, that the plant processes 100 million pounds of chili peppers every year. The company recently moved to Irwindale, and the complaints have been coming in ever since. The processing of the hybrid Jalapeno peppers also creates a smell so powerful that nearby residents have complained of heartburn, nosebleeds and asthma. The city finally took the company to court Oct 21 seeking a cease production order, and now the company has been ordered to stop any type of operations that could be causing the odour. Implications of this ruling in the short term are subject to widespread speculation, but a spike in prices of the sauce is one concern, as supplies may begin to dry up. Longer term, the company may be forced to either substantially change its production process or move, which is no small feat. It just goes to show that the existence of a factory doesn't necessarily mean that it can operate without any consideration for its neighbours. Another recent example is of an abbitoir in Toronto's King and Bathurst neighbourhood. Area condo residents have been rallying against smell and noise issues regarding the operation of Quality Meat Packers, demanding that the company relocate to a more industrial location. Note that the company has been there for 8 decades, and the condos are far more recent additions, as the area transitions to more mixed use. What do you think about these issues? There's certainly lots of emotion involved on both sides, but who's right and who's wrong?